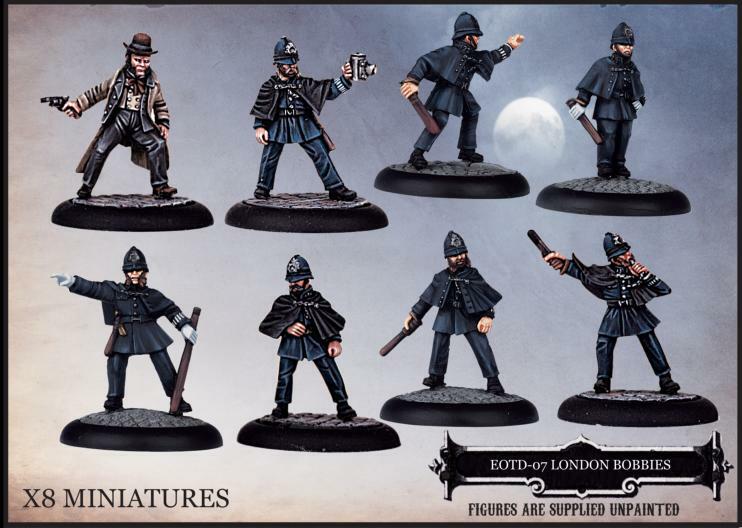 EOTD-07 London Bobbies - Boxed Set - Empire of the Dead. Boxed set contains 8 x miniatures, 8 x 30mm round black slotta bases . Unpainted Pewter miniatures approx. 28-30mm tall. Unpainted Pewter miniatures approx. 28-30mm tall.